Lymphatic malformations are a collection of abnormally formed lymphatic vessels in the head, neck or other areas in the body that are present at birth. At the Beverly Hills Center for Plastic & Laser Surgery, Dr. Ben Talei, a dual board certified facial plastic surgeon, is the surgeon patients in the area turn to for cutting edge treatments in lymphatic malformations and birthmark removal. Lymphatic malformations are generally present in the form of a large mass near the mouth, cheek or area around the neck. These masses can become blocked and enlarged, forming a substantially sized malformation. If these masses were left untreated, they could cause a child severe disfigurement and even impair a child’s ability to function. The good news is that there are successful treatment options for lymphatic malformations. Dr. Talei can surgically remove these masses and repair the area where the mass was positioned. There are also injection treatments that are minimally invasive and eliminate the risk of scarring. A successful lymphatic malformation treatment begins with a highly skilled physician. Dr. Talei is a specialist when it comes to congenital anomalies and vascular birthmarks. 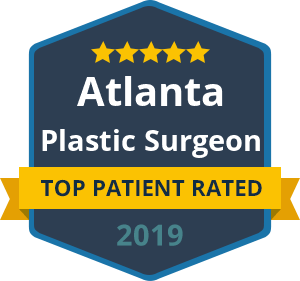 In fact, he has dual fellowship training in facial cosmetic and reconstructive surgery and vascular birthmarks and congenital anomalies with laser surgery. If you would like to learn more about the treatment options for lymphatic malformations and see if it’s a fit for your situation, contact our lymphatic malformation treatment experts at the Beverly Hills Center for Plastic & Laser Surgery. We would be happy to schedule your consultation today. Dr. Talei can walk you through the treatment options and hear your goals for the end result.